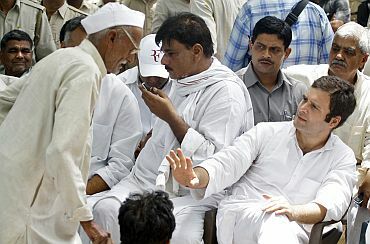 Congress General Secretary Rahul Gandhi was arrested late on Wednesday night by the Uttar Pradesh police capping a day of high drama after he slipped in unnoticed in pre-dawn hours to support the farmers agitating against the state government's land acquisition process for an expressway project. After a three-hour midnight drama of arrest and release, Rahul Gandhi was finally escorted back to Delhi by the UP police through the DND expressway and left at the inter-state bus terminus at Sarai Kale Khan, bringing an end to a nearly 24-hour sequence of events. Gandhi, who spent almost 19 hours at Bhatta Parsaul, the epicentre of the farmers' agitation, was arrested under Sec 151 of CrPC at around 11:00 p.m. and was taken to the Kasna police station in Gautam Buddha Nagar district. He was released on bail by the Uttar Pradesh police and brought to Delhi at 2:15 a.m. He was arrested along with AICC General Secretary Digvijay Singh, UP Congress chief Rita Bahuguna Joshi, Congress MPs Raj Babbar and Parvez Hashmi, and other Congress leaders. 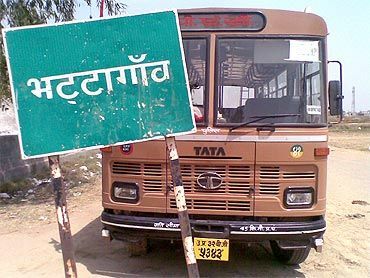 At the Kasna police station in Greater Noida, a Delhi suburb, Gandhi questioned the grounds on which he was arrested. "They are not showing us the documentation," he said. "Our fight against the Mayawati government will continue. We will be happy to go to jail on farmers' issues," Digvijay Singh told reporters soon after their release. He wanted the National Human Rights Commission to look into the matter. Digvijay Singh said the Congress would stage a strong protest against Gandhi's arrest on Thursday. At a late night press conference in Lucknow, UP Cabinet Secretary Shashank Shekhar Singh said the situation in Bhatta Parsaul was calm and attempts were being made to vitiate the atmosphere there. 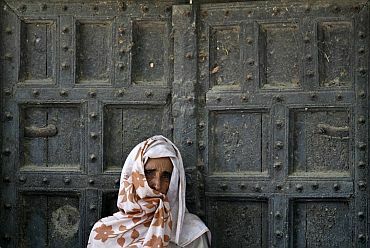 The UP cabinet secretary said there were no prohibitory orders in force in Bhatta Parsaul since Wednesday morning as the orders were in place till only May 10. Singh said prohibitory orders were re-imposed in the area after Congress leaders sought permission from the state authorities to hold a rally in the village. Congress attacked Mayawati for Gandhi's arrest with AICC General Secretary Janardan Dwivedi saying UP has witnessed "the cruellest rule of several imperialistic regimes". 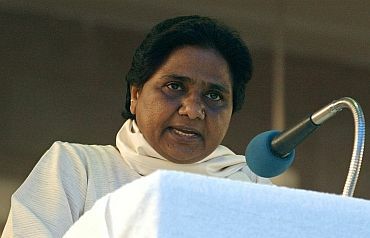 "UP government's action in arresting Rahul Gandhi proves that Mayawati is digging her own grave," Dwivedi said. "If any sense of justice is left in the government, judicial inquiry is the minimum that the state government should order immediately," he added. Rift in Congress over Digvijay's Osama comments?